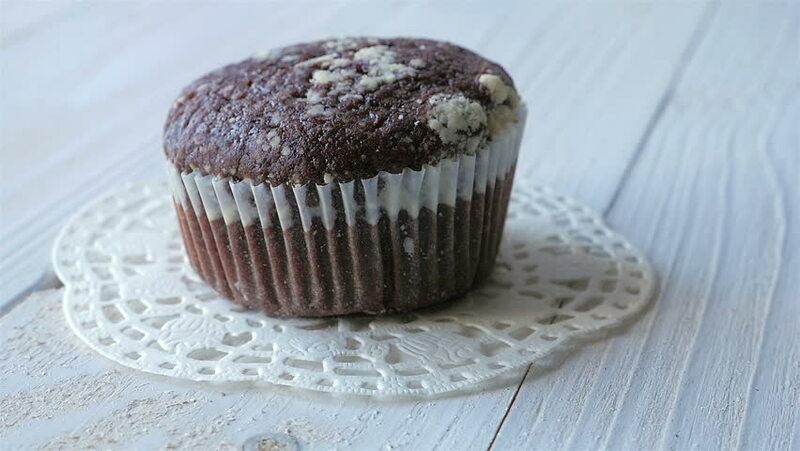 Chocolate cupcake on a white wooden table. Rotation. hd00:11White and chocolate cupcakes on white wooden table. Focus from one to another. Dolly shot. 4k00:05Preparation of cake. Add the stuffing. Close-up. 4k00:10Mini chocolate cakes on the volcanic decorative rock plate.